Water consumption has a typical characteristic sequence of randomness, fluctuation, and discreteness. A grey power model [GPM (1, 1) model] is a good prediction method for predicting urban water consumption. The traditional GPM (1, 1) model generates its grey sequence by a first-order accumulating generation operator (1-AGO) and gets the predicted results by a first-order inverse accumulating generation operator (1-IAGO). It can be seen that the errors of final prediction results are affected by the AGO. To improve the AGO of the original model and improve the prediction accuracy, this paper constructs a GPM (1, 1) model based on a fractional order GPM (1, 1) model. In this optimized model, the variable orders of AGO (IAGO) can better extract the grey information hidden in the original data. Meanwhile, to further improve the accuracy of the model, an artificial fish swarm algorithm is introduced to optimize the model parameters. Finally, the time series data of Wuhan’s industry water consumption are used to verify the effectiveness of the modified model in predicting water consumption. The results demonstrate that the modified model can show higher prediction accuracy than several other grey models, such as GM (1, 1) and the traditional GPM (1, 1) model. 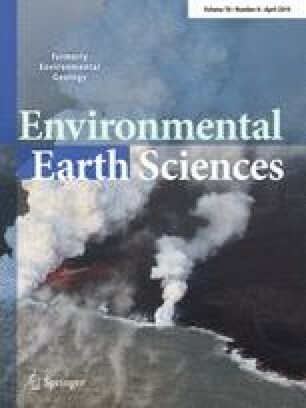 This article is a part of a Topical Collection in Environmental Earth Sciences on Water Resources and Hydraulic Engineering, guest edited by Drs. Yanqing Lian, Walton Kelly, and Fulin Li. This work was supported by the National Natural Science Foundation of China (No. 41571514).